Vakhtangov Study Day at the Rose Bruford College – Film. Hosted by The Stanislavski Centre. Guest Speaker Andrei Maleav Babel with the participation of Graham Dixon The Vakhtangov Study day which took place in 2014 took place at the Rose Bruford College of Theatre and performance organised by The Stanislavski Centre with guest speaker Andrei Malaev-Babel, and Graham Dixon. The film Vakhtangov and the Russian Theatre was also premiered at the event. Yevgeny Vakhtangov: A Critical Portrait: For more information click on this link or click on the thumbnail. examines in detail his three final directorial masterpieces, Erick XIV, The Dybbuk and Princess Turandot. Graham Dixon and the Michael Chekov Studio London: The Chekov Studio London. Graham Dixon started the Michael Chekhov Studio in 2003 as a means to give actors and directors living in London an opportunity to access and explore Michael Chekhov’s unique approach to the art of acting. Click on the thumbnail or the link above for more information about his work. The Stanislavski Centre. The Stanislavski Centre . 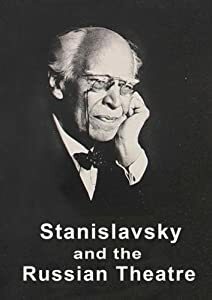 The Stanislavski Centre at Rose Bruford College of Theatre and Performance is a unique initiative within the UK to create a home for both academic research and practice/performance events based upon the work of Konstantin Stanislavski. The Centre, which is located within the college’s Learning Resources Centre, houses a core collection of books and other printed material (mostly in the Russian language), a photographic archive of more than 200 images and a small collection of material on video and DVD. Michael Craig, Copernicus Films.Michael Craig and Copernicus Films completed a film about Vakhtangov “Vakhtangov and the Russian Theatre” which was also premiered at the Vakhtangov Study day. Vakhtangov eventually became one of the foremost directors of the Russian theatre in the early twentieth century until his early death in 1922 at the age of 39. Talented and enigmatic, his great achievement was the the synthesis of Stanislavsky’s theories of acting and realism and Meyerhold’s studied theatrically. This film by Michael Craig is the third in the series about Russian theatre in the early 20th century. Click here for more information about this film.